Chingu gotten me this L'oreal Revitalift+Anti+Wrinkle+Firming day cream. Guess , chingu of mine can see this bff is getting some wrinkles all over her face. ..isk isk isk ..face palm. I understand , Chingu......and will use the cream suitable to my age. 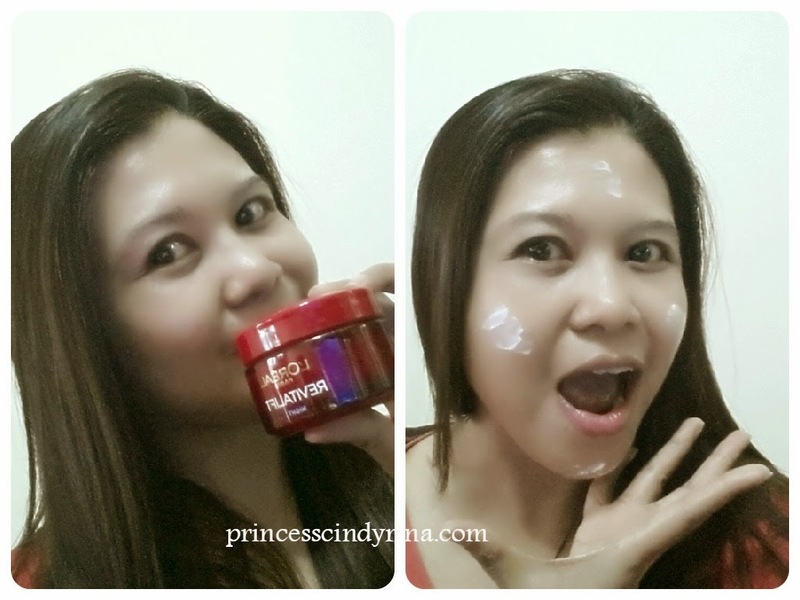 No more whitening or pinkish look cream. I need to focus on slowing down that wrinkles of mine. I bought the night cream so I could try out this product at full set. 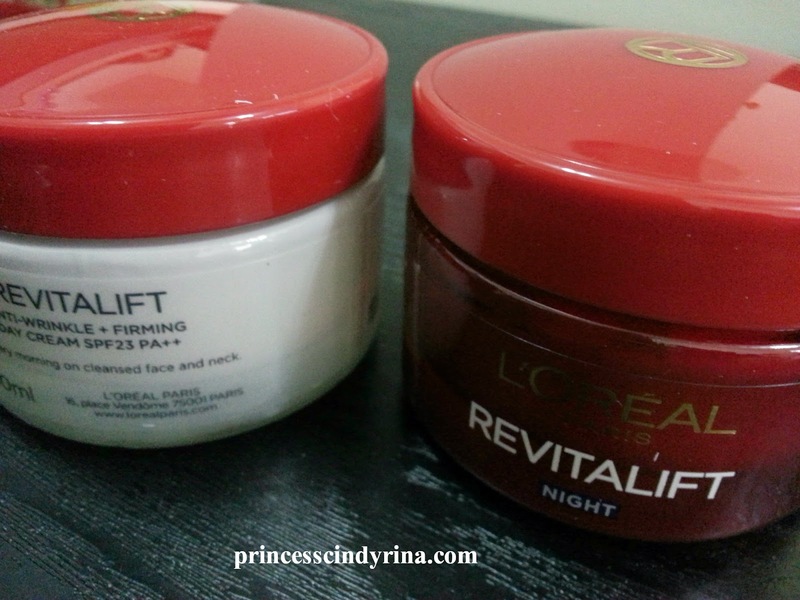 The red color jar is L'oreal Revitalift anti+wrinkle+firming night cream. Texture : Very rich creamy white color texture that quickly absorb into skin and leaving skin supple without greasy and sticky feeling. - my face regains its firmness. it plump up my skin too. love this! I can feel this L'oreal Revitalift Anti Ageing skin care range gives great improvement to my dull and wrinkles skin. Moreover, L'oreal Revitalift range is terminologically tested for Asian skin. So it suitable for Asian like me. 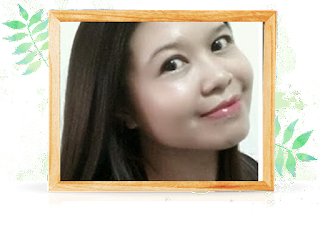 Now I am looking for product to reduce fine lines on my forehead and ugly wrinkles around my eyes area when I smile. Seriously, when you are ageing the maintenance cost getting higher and higher. I noticed product under ageing range are much more expensive then the normal youth range. isk isk isk..
Disclaimer : I bought this product with my money and part of it from Chingu. This is not sponsored post by advertiser.